The AT&T Performing Arts Center is running our first Google Offer in Dallas for tickets to what has been everyone’s favorite “rock musical” for nearly half a century: HAIR! Subscribers who sign up for Google Offers in Dallas can grab a seat at this Tony Award winning show for only $15 (a $40-50 value) for performances between 9/27 - 10/2. If you would like to receive deals of the day in your email inbox for the cities where Google Offers is currently available, please visit google.com/offers to subscribe. If we aren’t yet available in a city near you, please sign up to receive updates. 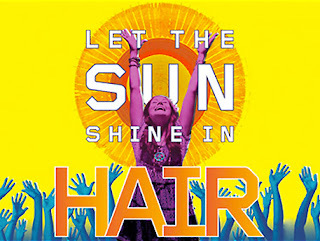 It may be fall here in Mountain View, but the “Summer of Love” lives on with the launch of Google Offers in Dallas!